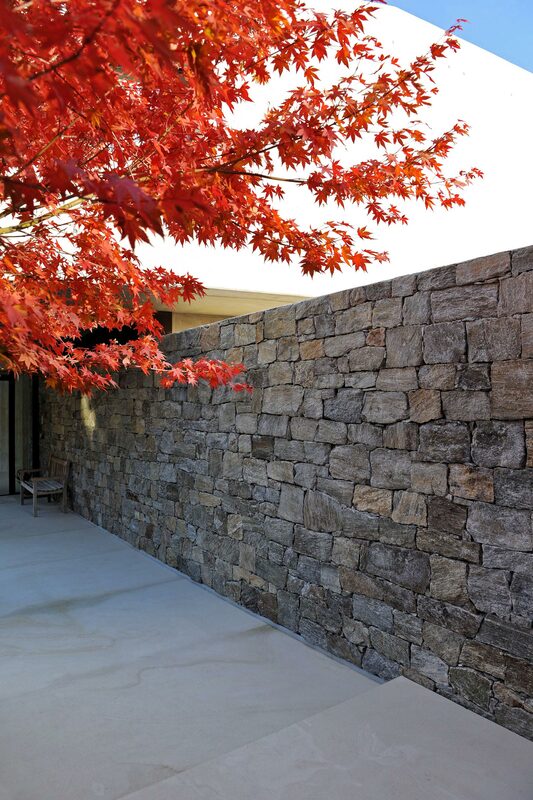 The stone slabs placed in regular outlines create a border for terracing, which is composed of subtle variations in gradient. 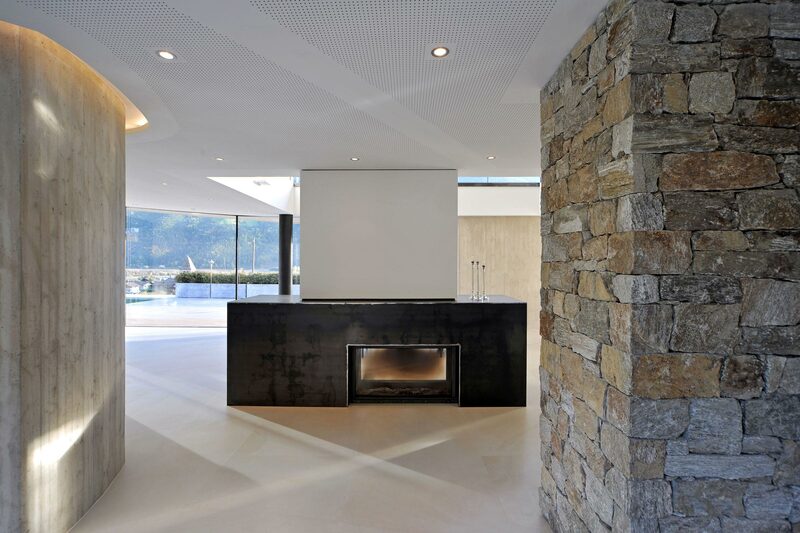 The stone is matched with various natural components: grass in the garden and wood in the lounge. 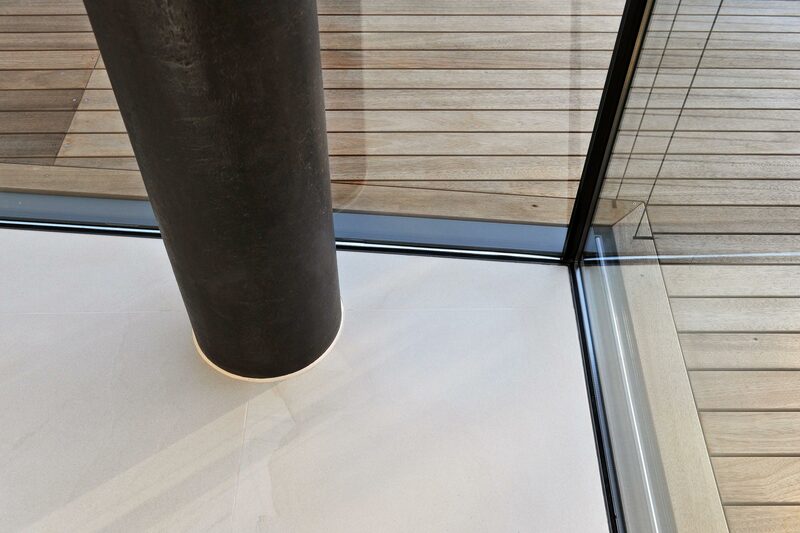 Outside, a few different elements are alternated: the glass of the openings, the aluminum of the sunscreen system and finally, the stone material covering large parts of the opaque surfaces - rectangular slabs of Crema Fiorito, dry layed. 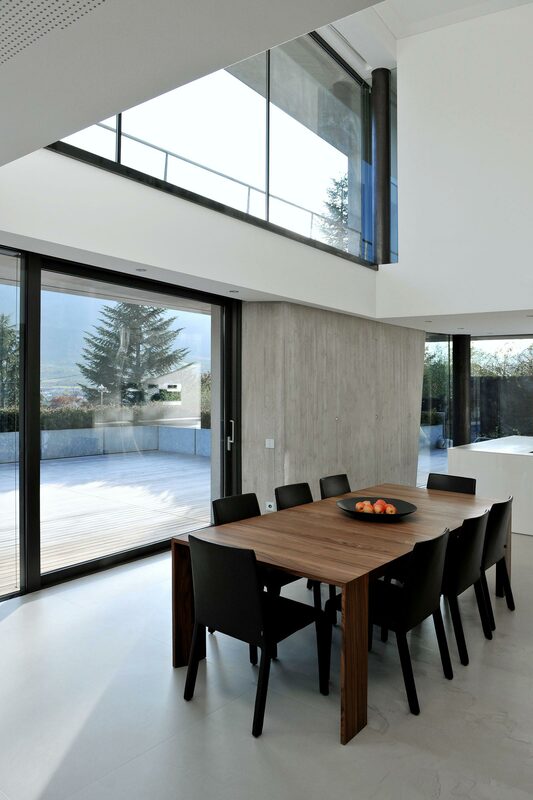 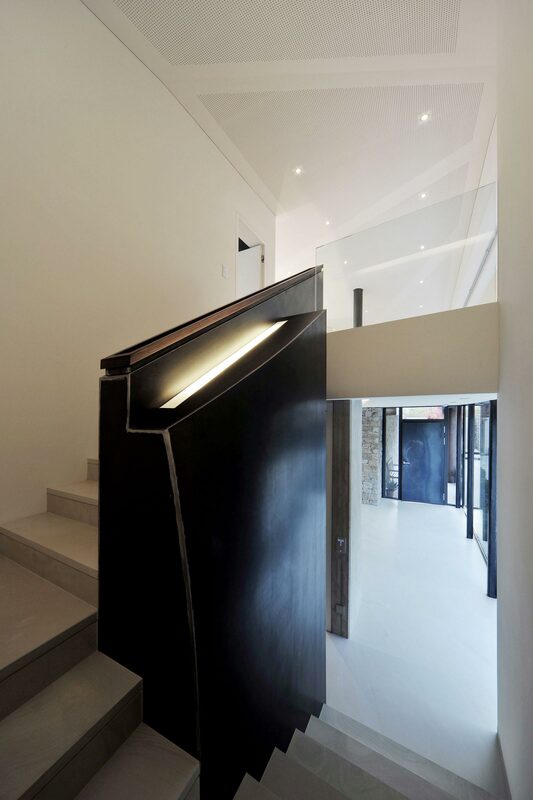 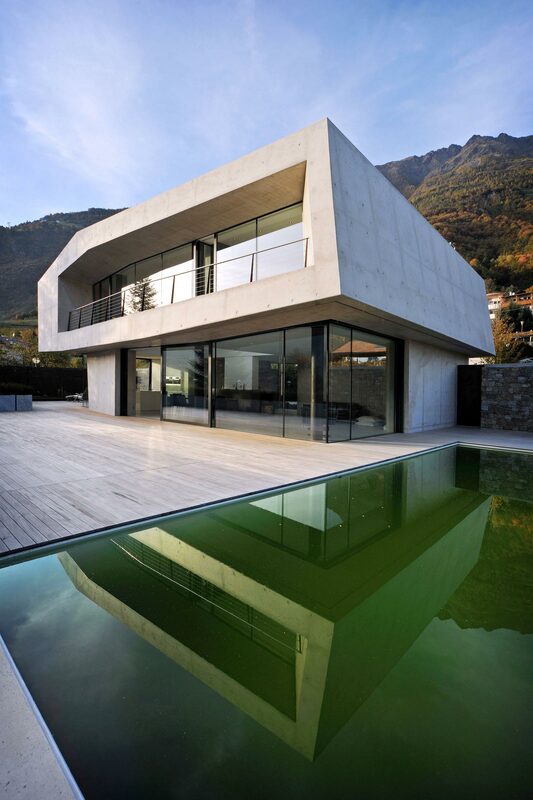 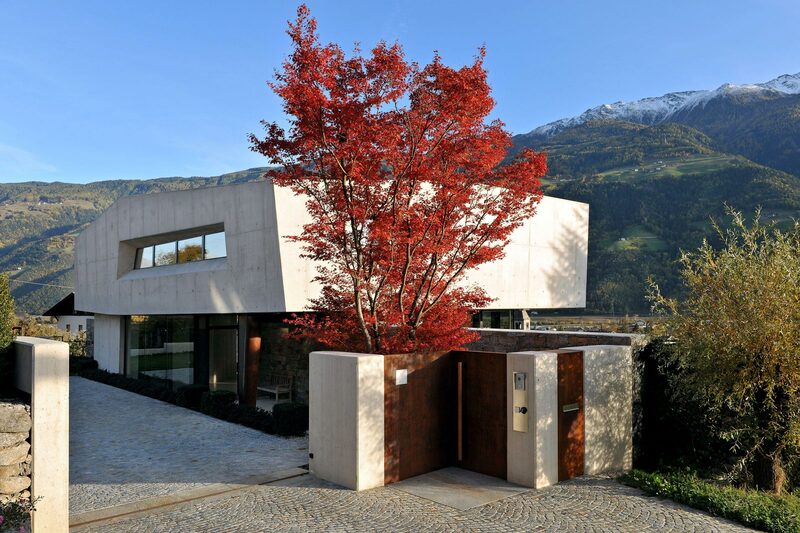 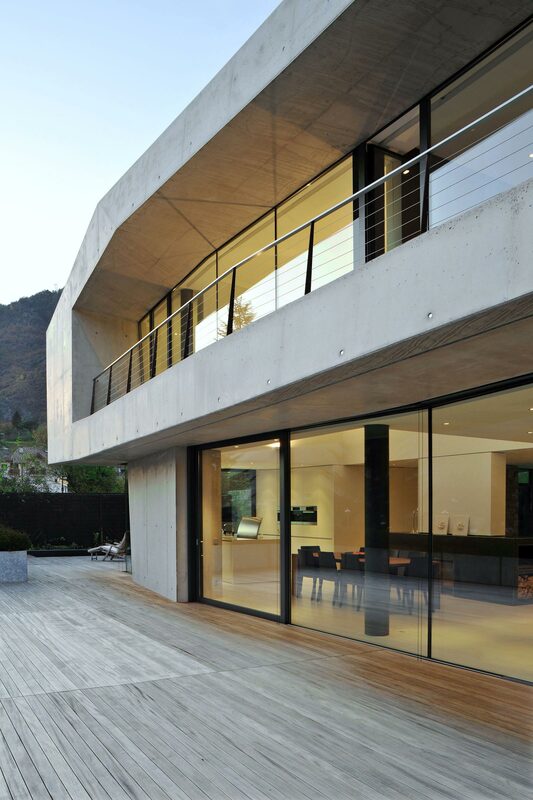 The use of stone is the essential element of the identity of the De Biasi residence in Merano. 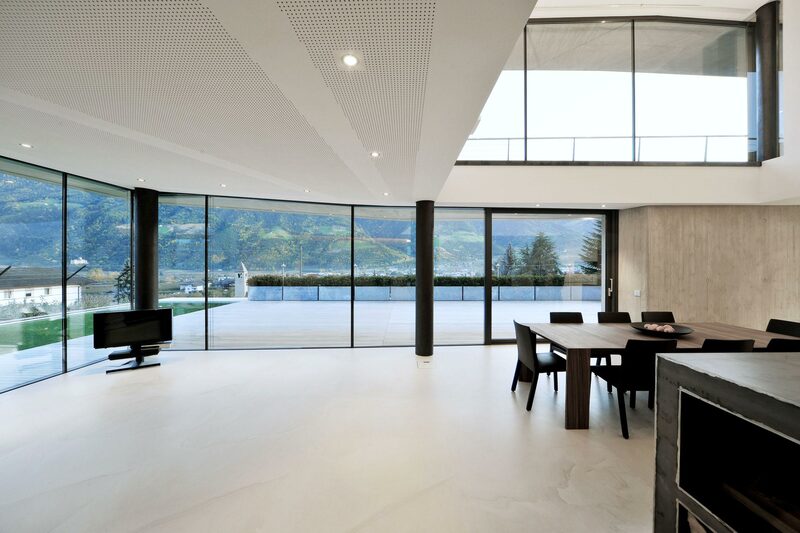 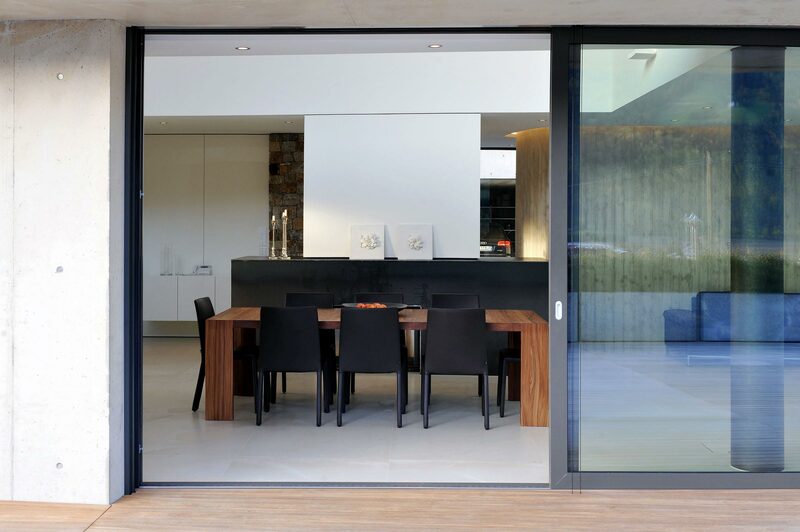 Beyond the vermillion red walls that border the dining area towards the interior, the stone becomes the only material used for the facing. 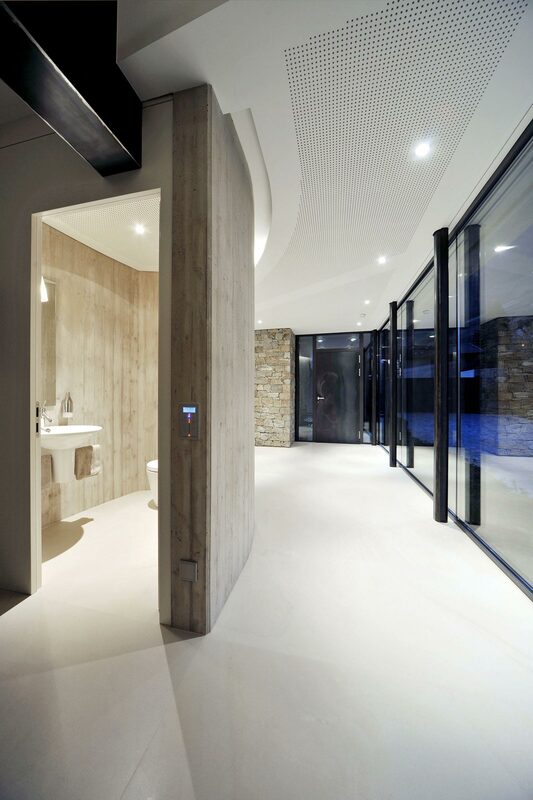 In the bathrooms the role of the stone is further affirmed: in addition to covering walls and furnishings, the shape of the environment with its ledges and recesses, is derived from the subtraction of material from a huge monolith. 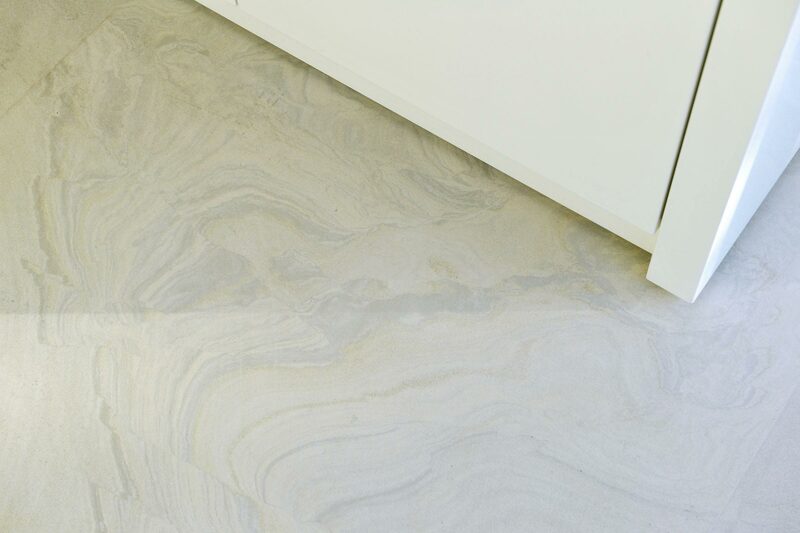 The sensation we get is of a stable and orderly space.